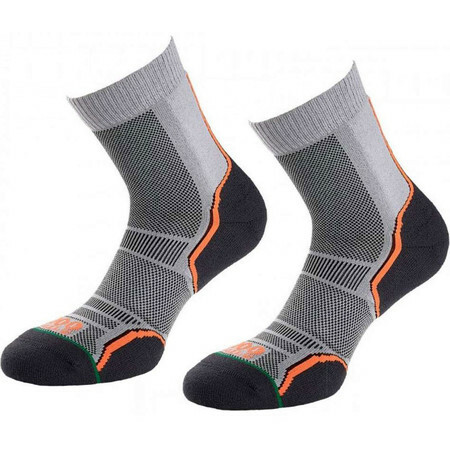 A two pair pack of trail socks with merino wool. 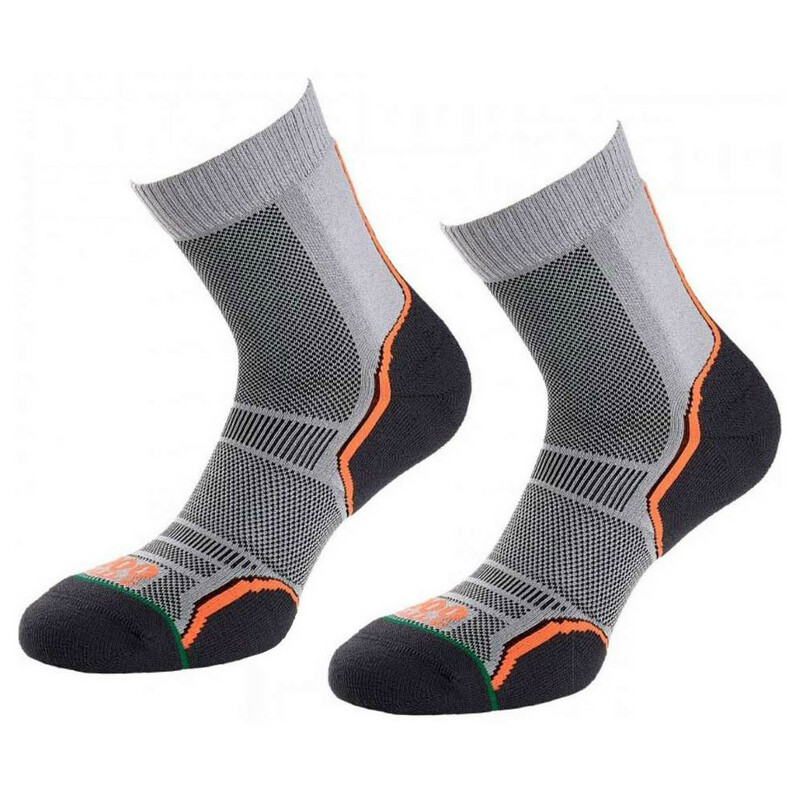 Light cushioned and higher ankle length makes them perfect for trail running and extremely good value. Material: Heel and toe: 70% Acrylic; 30% Merino Wool; Upper: 98% Nylon; 2% Elastane.